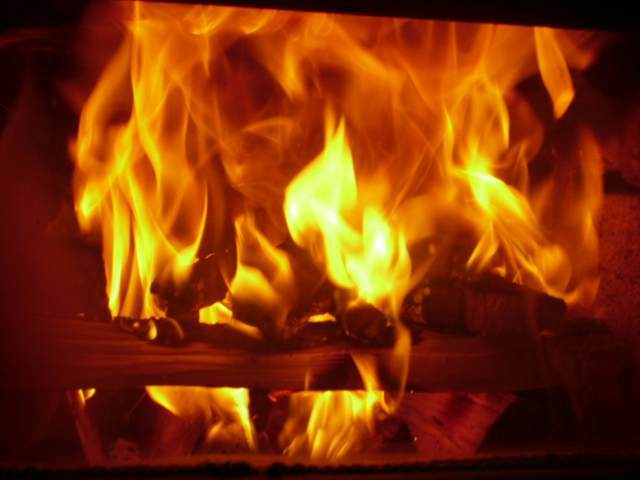 The top-down fire was a real breakthrough for me back in 1992 when I learned about it and has made my fires consistent performers ever since. 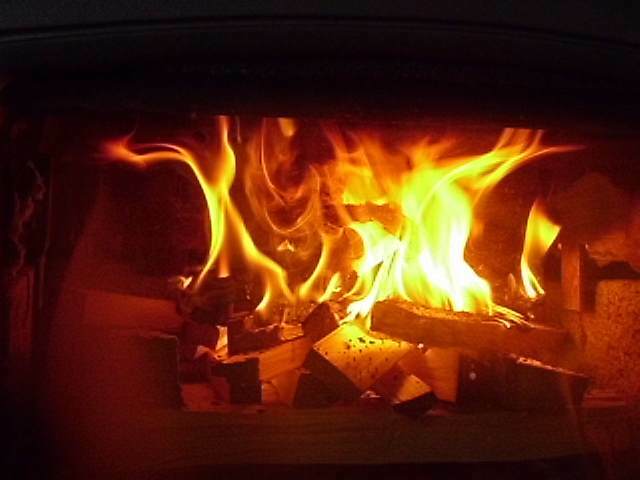 I use the technique for all fires, whether in our heating stove at home or a camp fire in the bush. 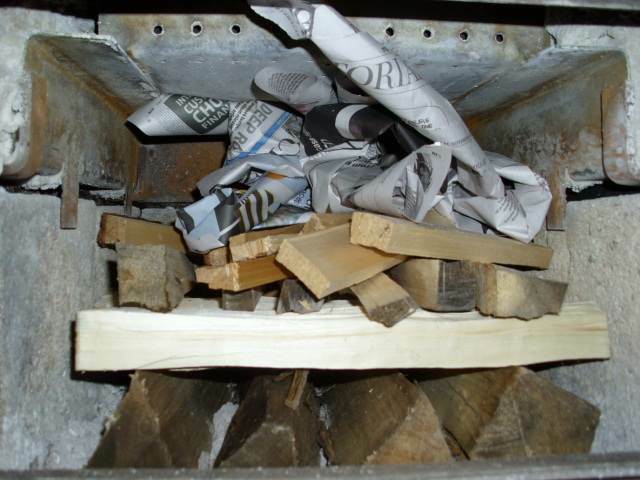 It does take a little practice to get right and you do have to use dry firewood to make it successful. Here is a page of simple instructions and photos to help you make your first top-down fire a success. 1. Place the bottom pieces. These will be the largest pieces in the load. 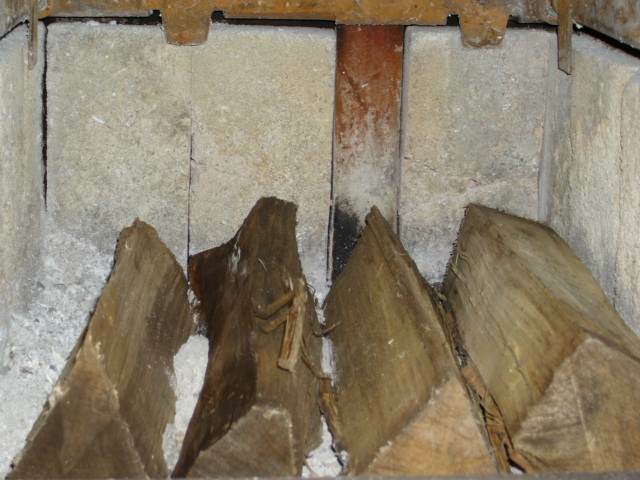 They must be split, dry firewood. 2. 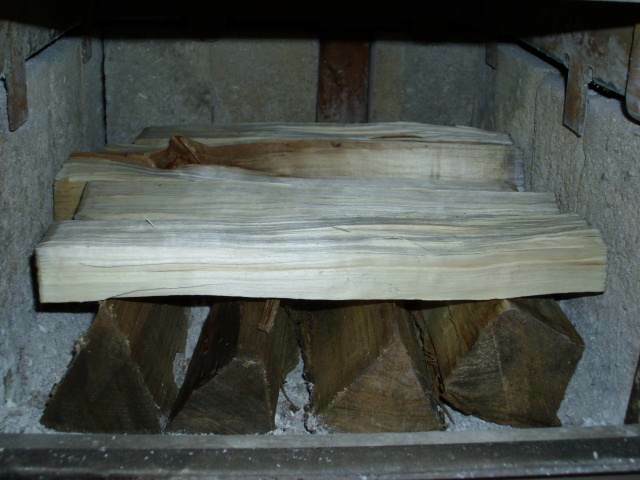 Place a layer of smaller pieces across the main logs. These pieces are split smaller. 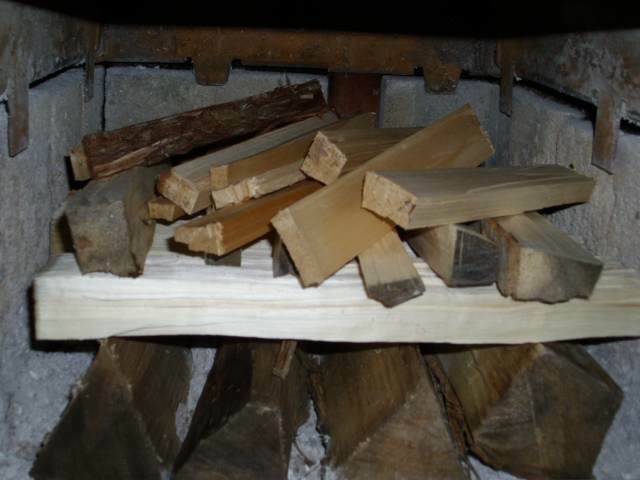 The secret to a successful top-down fire is making the pieces for each layer a little smaller than the one below. 3. Place another layer of still smaller pieces across the second layer. These pieces are only about an inch across. 4. Now place some fine kindling. I cut short blocks of cedar only about eight inches long and let them season well. Then I split them up as I need them. 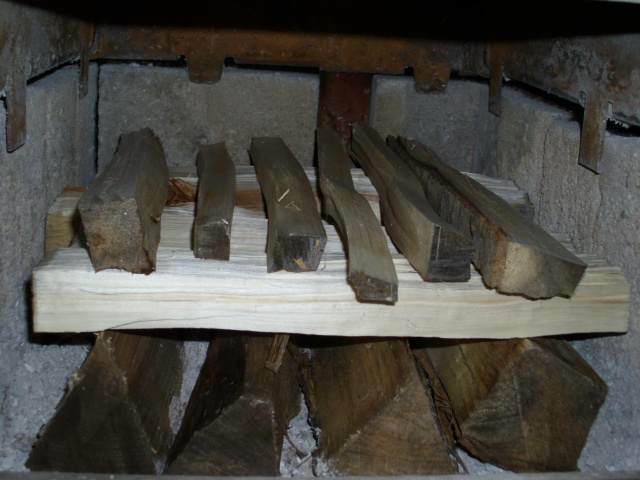 Blocks that short split easily and the little pieces are handier for placing in the firebox. 5. Prepare some newspaper knots. 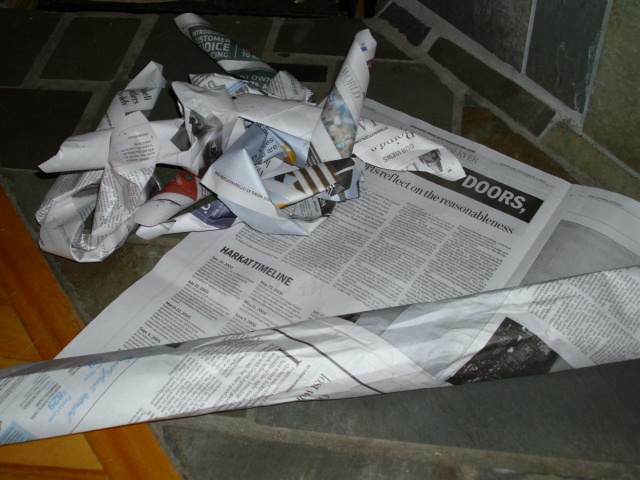 Newspaper knots stay put better than bunched sheets. Roll up single sheets corner to corner and tie a slopy knot in the tube. 6. Stuff four or five knots in on top of the fine kindling. I like to grab them all in one hand and stuff them in while holding down the kindling with the other hand. 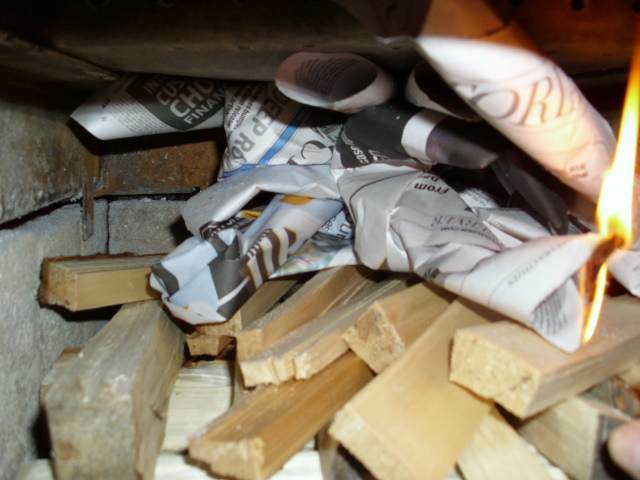 My system has a tall chimney and a stove that breathes easy, so I can just light a corner of newspaper and close the door. You might need to leave the door open a crack until things get going. And starts to ignite the fine kindling. 9. 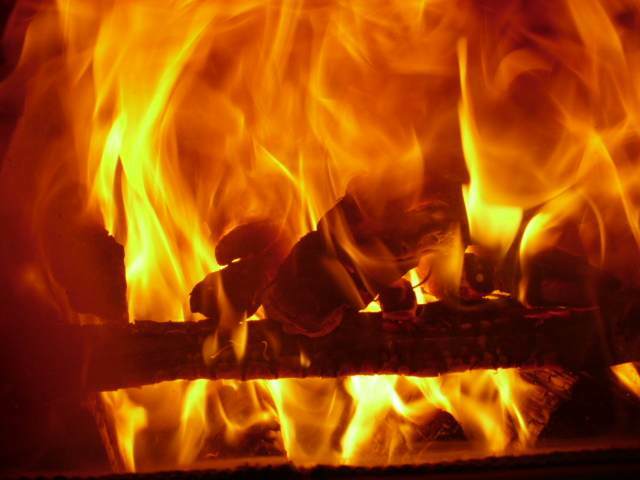 The fine kindling ignites and the downward burn starts. 10. The bottom layer starts to ignite. 11. Now the whole works is ablaze. This picture was taken less than ten minutes after the newspaper was lit. 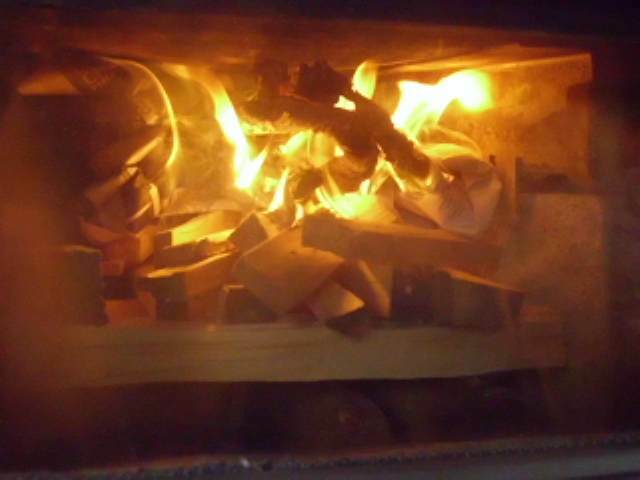 The top-down technique takes a little longer in preparation, but the reward is less pollution, less fussing with the fire after it is lit and up to two hours of heating without having to reload.